Not sure if you should get a MIG, Stick, Flux Core, or Gas welder? Let me help you find your first welder by asking a few simple questions which will guide you to buying a good first time welder that will last for many years. Where Are You Going To Be Welding? Will you be welding in your garage? Are you in a shed? What metal are you going to be welding? Do you want to weld steel? Do you want to weld copper, bronze, or aluminum? If you only have a stander 110v outlet that is ok it just means you'll be using your first welder with lower power which doesn't matter unless you are going to be welding bigger projects like trailers or something bigger. If you have 220v in your garage and that is where you'll be welding this gives you a few more options. However, some of the newer welders can work on either 110 or 220, and a few switch themselves automatically so you don't have to worry about flicking the swtich on the welder. Of course the more bells and whistles you get with a welder the more it is. But this feature is cool because if you have 110 now and want to upgrade to 220 later you don't have to buy a new machine. You can stick with your dual voltage machine like a Miller 211 (one of my all time favorite MIG welders). 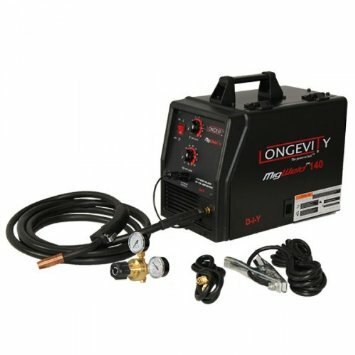 Let me introduce you to the Longevity 140 MIG welder. It also runs flux core which is basically the same as MIG but you are not using shielding gas. The nice thing about getting this are your first welder is that it comes as spool gun read unlike some other bigger brand name welders. You can MIG weld aluminum with a spool gun. Spool guns can be quite expensive but the one for the Longevity is not. This welder runs on 110, and you can weld both steel and aluminum with it. It's a great first welder. You are not going to be welding on monster trucks, or race cars, or doing any structural type work with it because it can't weld anything over about 3/8 of an inch. If you are running 220 out of your garage you can get a bigger first time welder. For example, you can get the Hobart Ironman or Longevity's MIG welder 250p. The 250p is awesome because it has 'Pulse', which means that your welds will be gorgeous and you can weld thin metals as easily as thick metals. 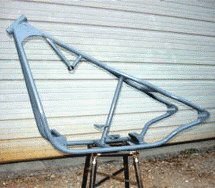 Thin and thick metal can be welded with one wire (for example: the 1.2 millimeter wire will be able to weld about .6 millimeter sheet metal at about 26 amps, and then you can go up to 500 amps to weld very thick metal). Usually you have to change wire to weld some different material thicknesses. You don't have to change wire. Better penetration than a regular MIG welder. If you want to weld aluminum or stainless steel it's amazing. A first welder with Pulse like the Longevity welder above is proably more than you need if you are just starting out, but if you have the money you might want to get something like this and keep it for a very long time. All three of these MIG welders are good for long welds, have large spools, and provide quality welding with one hand. Basically you just grab your MIG welding gun, hold your metal in place, and just tack it up. Easy-peasy, which is what you want in a first time welder. Will You Be Welding Outside? If you are going to be working outside then you will not be able to MIG, TIG, or Gas Weld (Oxy Acetylene), at least not very well. The main reason is because of wind. MIG, TIG, and Gas is easily disturbed by wind, and when this happens oxygen gets into your weld and basically ruins the whole thing. 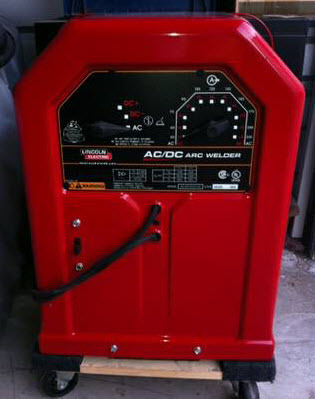 So you're going to be using flux core or stick welding outside (and you can weld inside with these welder). Neither of these welding techniques requires gas shielding. But the shielding is built into the electrode (consumable). The welds won't be as pretty as MIG or TIG but they are just as strong assuming you are welding properly. 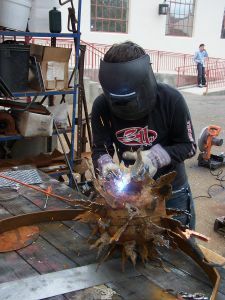 If you are buying your first welding and just starting out and you are going to be welding outside, your first time welder should probably be a flux core welder because it's super easy to learn. 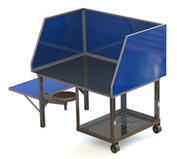 But get one with a MIG option just so you have it in case you will be able to welding inside. But there's nothing wrong with stick welding. Stick welders are awesome first welders because they are pretty inexpensive, and they do a good job for different projects. It's just that learning to stick weld takes a bit longer than learning Flux core welding, that's all. It just takes a little practice. Both flux core and stick welding (also known as arc welding) is a messy weld and requires clean up. MIG has much less spatter and clean up than these two processes. It's cleaner. This is a good little stick welder: These have been around forever. They used to call them the 'tombstone' welder because of their shape. The other common name is a 'buzz box' welder because of the famous buzz sound they make as you strike your arc. They last forever, are very reliable, and very powerful. Many welders just use this for all their work. You should have something like this around because they are really good for welding dirty rusty material, unlike MIG or TIG. Harder to learn than flux, MIG, or stick welding. With TIG welding you can weld all kinds of metals. You can weld steel and aluminum, copper, brass, bronze, nickel, titanium, magnesium, etc. It'll do it all. Once you learn how it's much more versatile than either the MIG, flux, or stick welding. Do You Want To Weld Jewelry? I recommend getting a smaller 110 volt TIG welder for jewelry welding. Longevity makes one called a 160SX. 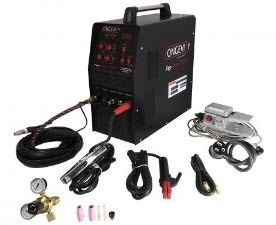 It's a good low cost little TIG welder that is good for doing delicate, small jobs such as jewelry. If you want to get rignt into TIG welding, good for you! But get some instruction so you learn how to do it faster. I like the oxy acetylene process because it's just an an open flame and filler rod. Some people even use a coat hanger as filler rod (but I don't recommend it unless you are practicing). It's a really good first welder because you'll learn a great deal about welding as you learn it and use it. It's a great way to weld without power. Yes, you don't need any electrical to weld this way. And once you are good at oxy acetylene welding you are 75% of the way to learning how to TIG weld! All you need with TIG is electricity, otherwise it's very similar to oxy acetylene welding. Oxy acetylene runs on gas. There's a lot of heat generated from this gas welding process, and there's quite a bit of smoke. It's not great for thinner metals unless you are good at it (but you can switch to another lower heat producing gas welding process). With gas welding you'll be using it in a more wider area, versus with a TIG welder you are welding in a much smaller welding area, in comparison (I'm sure I'll get a few emails with that comparison). With gas welding you will need a torch kit and gas bottles (cylinders). But you can get small bottles, and a smaller more portable torch kit so that it's more portable, like a suitcase. Do you have a mechanical mind? In other words, if you can go pick up something and do it fairly well after watching someone do it and teach yourself you might want to consider getting a TIG welder. Also, if you want something that takes a little more practice but makes better quicker welds then a TIG welder is for you. But if you want something that produces good welds and is easy to learn then a good first welder is a Flux Core welder that is MIG ready (just get the gas, hook it up, change the wire, and now you are MIG welding). BUDGET: One barrier for many first time welders is money. The lowest cost entry level welder you can get is a flux core welder, or a stick welder because you just need wire or electrodes (for stick welding). And you can buy either one for $300 - $600. But if you have money to spare get a MIG welder (get the gas etc) as your first welder, assuming you want something that is easy to set up and use right out of the box. TIG welders are the most expensive. They have different technology and require gas shielding. But, there are no consumables (welding rod) so in the long run it's not as expensive. In the short run it's a least twice the cost of a MIG welder.